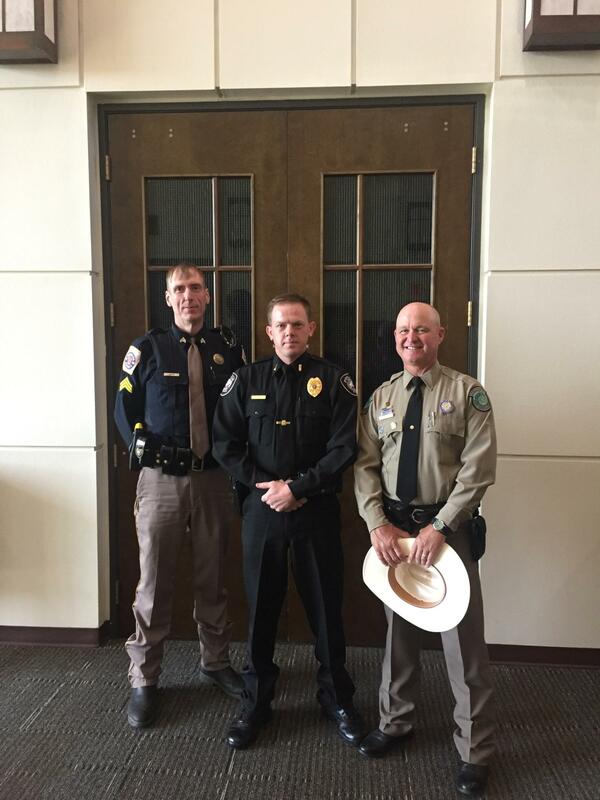 HOUSTON COUNTY – On June 20, three local law enforcement officers received the Director’s Award from Texas Parks and Wildlife. They were Game Warden Eddie Lehr, Sgt. Ryan Martin with the Houston County Sheriff’s Office and Lt. Clayton Smith with the Crockett Police Department. The award was given to these officers, along with several other responders, for their quick and heroic actions to a boating accident in which Game Warden Zak Benge was seriously injured. The accident happened on April 3, 2016. Game Warden Benge was in a very remote and not easily accessible area on the Neches River. Benge had to be airlifted and flown to Tyler where he was treated for hypothermia and underwent surgery. The award states that their quick actions reflect the highest level of professionalism to the people of Texas and the Texas Parks and Wildlife Department.